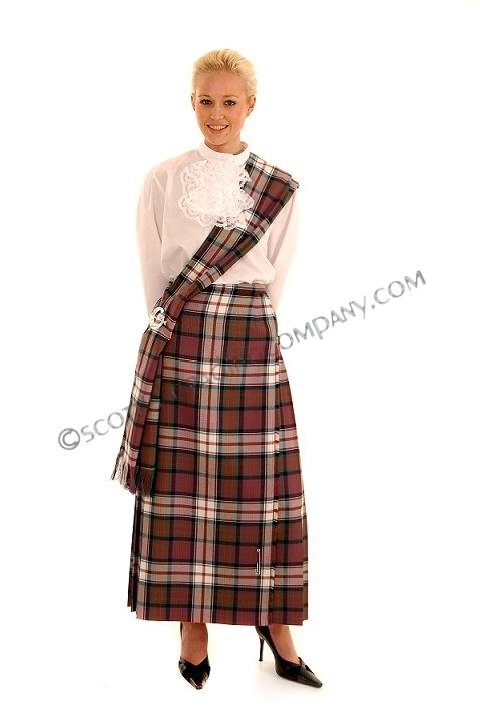 Our Ladies "Fiona" Tartan Skirt is imported directly by Lochcarron of Scotland. Flattering and the height of Scottish Fashion, this 100% soft wool delight features a fully lined and completely pleated skirt. Please select the tartan of your choice from our Tartan Finder. As these are custom made to your measurements, please allow 6-8 weeks for delivery.